Art Nouveau Glass Window Film. Made Easy by Purlfrost. 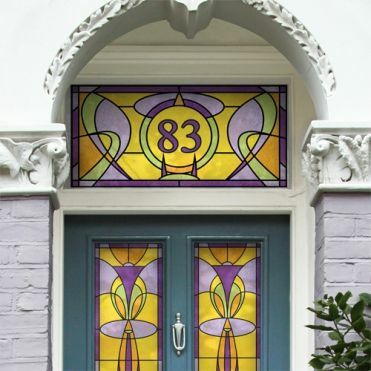 Art Nouveau inspired stained glass and frosted glass effect designs resized to your exact measurements. Very easy to apply in minutes. 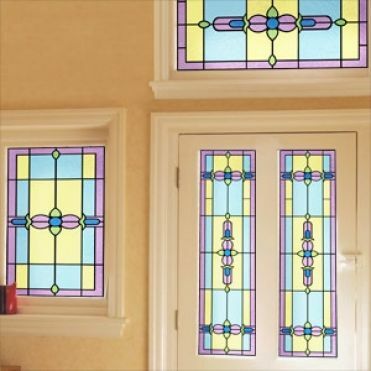 We have a unique collection of vintage and period window film designs for glass, available in etch effect and stained glass effect film. The results are very convincing and the cost of the film is a fraction of what be to have real etched or stained glass installed. The best thing is that it takes minutes to apply so results are almost instantaneous. Our designs have been created using original artwork from the Art Deco, Art Nouveau and Victorian eras. They represent months of tireless work, as each design had to be reproduced in a print and computer friendly format. 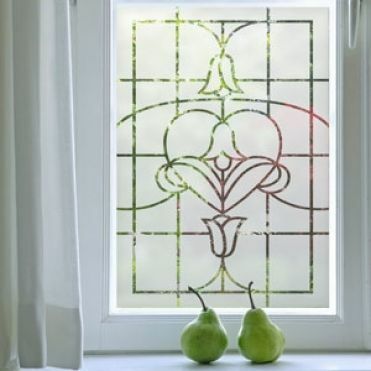 How are your period window films made? We have developed a unique method allowing us to print frosted and stained glass effects on a window film. So all the designs you see are in fact high resolution images printed on film. My windows look different to how your designs are showed on the images. 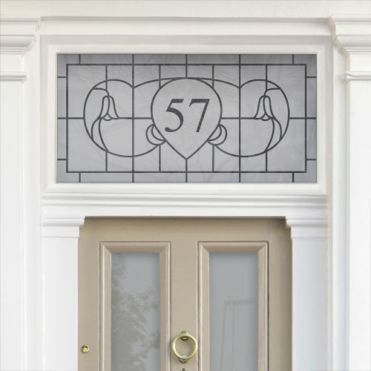 At Purlfrost, we offer a completely bespoke service and all the designs are resized and scaled to your exact measurements, regardless of the shape of your window or door. Unfortunately, this is not a service we offer as there's too much work involved recreating your design in a computer friendly format for a one off. However, if you have graphic design skills, then create a vector file of your design and send it to us for appraisal.